Throughout the years, your home will undergo various changes, whether it’s a new coat of paint, moving the furniture around or replacing the staircase parts. With that said, it seems evident that we aspire to keep our homes new and fresh, stylish and modern. 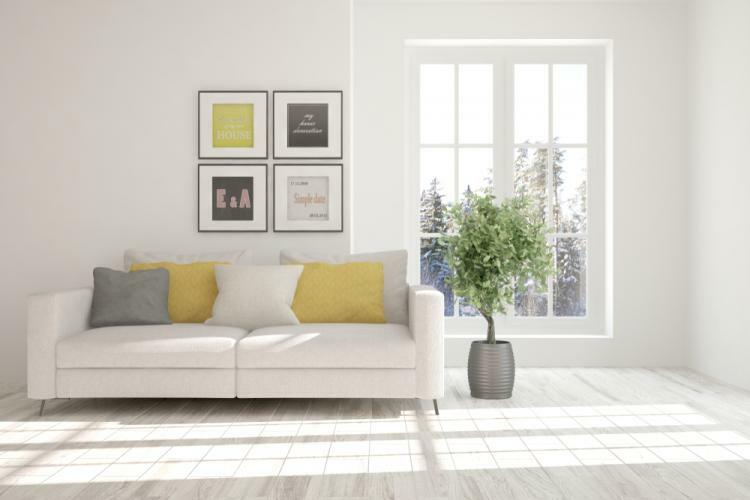 If you are looking to give your home a makeover and want to try out a contemporary look, here are a few ideas to help you get started. To give your home a contemporary look you might need to think about redecorating. If your walls are looking a little drab then brighten them up with some lighter colours. This look is all about bringing in the light and ensuring that your home isn’t dull and dark. If you have darker carpets then consider switching to wooden flooring to give the impression that the room is bigger, or for a cheaper alternative, lay down a lighter-coloured rug. Your staircase is an integral part of your home and with that in mind, it shouldn’t be overlooked when you give your home a makeover. Your current staircase might seem fine but if you're adding light to the rest of the house you will need to ensure that your stairs aren’t left in the dark. You could easily give your stairs a contemporary feel with metal and glass staircase parts. Glass panels down the staircase will not only look beautiful but will also let the light shine through your home. As we’ve already said, this look is all about bringing the light inside. What better way to do that than by getting rid of old tattered curtains and leaving the windows bare? It’s ideal for homes with bigger windows but if you’d rather keep your privacy then just leave the back of the house bare. Of course, you will want to shut out the light in the bedroom but to continue the contemporary approach why not add some wooden blinds? They will block out the light while giving your room the look you desire. With all this talk of light, you might be worried that your home will look slightly clinical. To avoid this, you can add some familiar home comforts. Small accessories such as pillows and ornaments can do this with ease but if your home is now full of light, try adding some colour to balance it out. For the bedrooms, go for colourful bedding; in the living room, you could add a colourful throw or even think about a colourful coffee table to draw the eye. If you're going for a completely new look to your home, you might want to consider buying some new furniture. This is another way to help avoid the clinical look as you can add slightly darker furniture, for example. You want your home to look nice and light but try and avoid letting all of your furniture blend into the rest of the home. If you think that the contemporary look is right for your home then follow these steps - don’t forget that your stairs are part of your home, too! From replacing worn staircase parts to repainting rooms, you will soon be well on the way towards the perfect contemporary living space.